New Ongoing Series From CM Punk, Cullen Bunn & Scott Hepburn! Destroying his very first ongoing series! 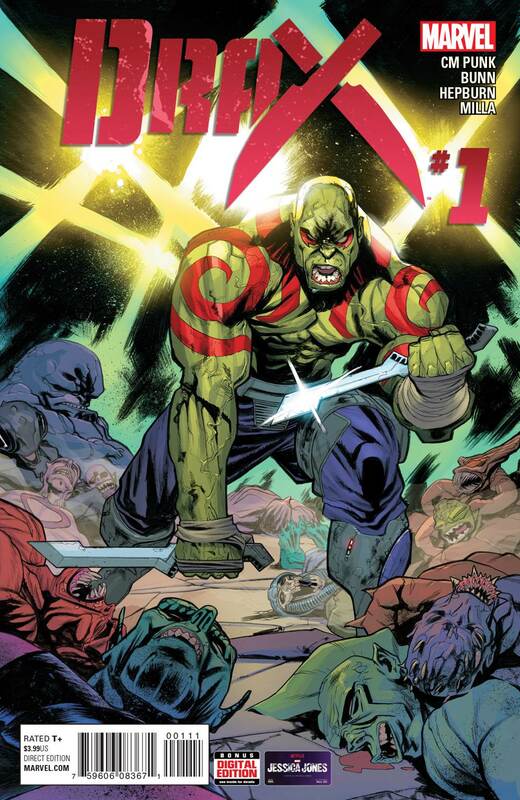 That’s right, the muscle of the Guardians of the Galaxy is making his Mighty Marvel solo debut this November in DRAX #1! And he’s bringing along some can’t miss creators! World renowned UFC fighter CM Punk makes his ongoing series debut alongside fan-favorite co-writer Cullen Bunn and artist Scott Hepburn! So what does Drax do when he’s not hanging with the Guardians? He lets his bloodthirsty quest for revenge take the driver’s seat, of course! Determined to find and kill Thanos once and for all, Drax is ready to take on the universe. And nothing is going to stop him – not even crash landing on a dangerous and wild planet. The depths of space might not be enough to contain this much grit, vengeance and all-out action! 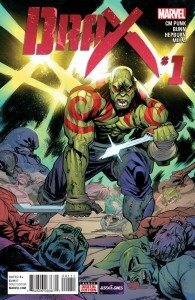 Don’t miss the explosive debut of DRAX #1 – coming this November from CM Punk, Cullen Bunn and Scott Hepburn!